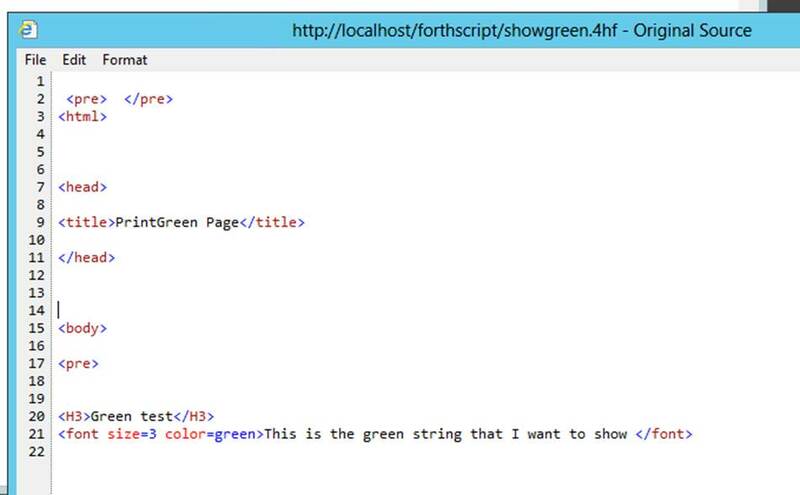 For example in my 4th the image below shows a printgreen function written in 4th in page script and also shows the result seen in the browser. View source in the browser shows the html that was created and sent from IIS. 2.) Give forthwsc.exe permission to run from IIS. IIS is told that forthwsc.exe is allowed to run. I include a script designed to test my version of the 4th language named test4th.4hf in the forthwsc.zip file with the source code.